Central de cogeneración de 6.5 MW constituida por un grupo motogenerador a fuel-oil en ciclo simple con un generador de vapor acuotubular de circulación forzada que permite producir 3.2 t/h de vapor a 13 bar mediante el aprovechamiento de los gases del motor. 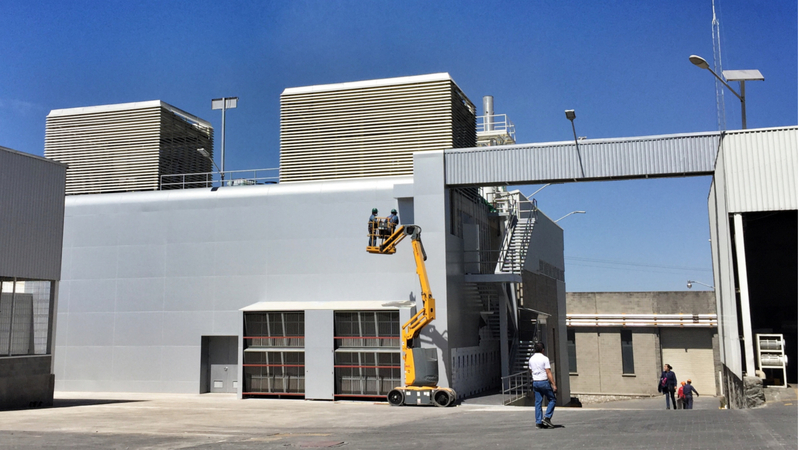 El agua de refrigeración de los circuitos de alta temperatura del motor se aprovecha para generar agua caliente a 85ºC para uso en el proceso productivo de la fábrica. 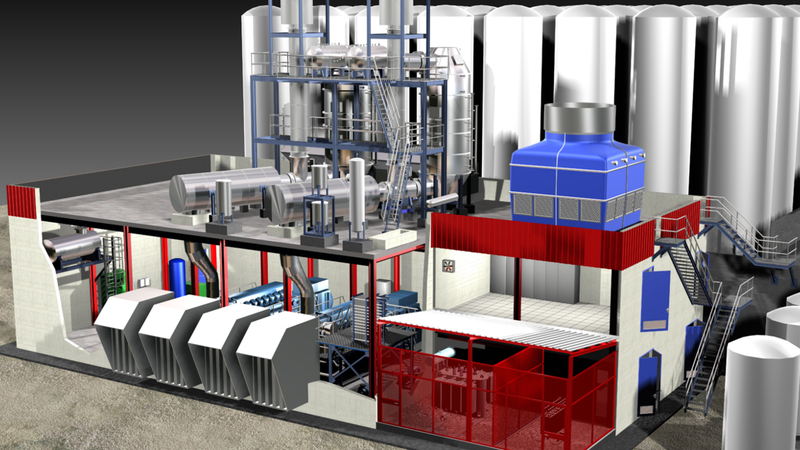 Cogeneration plant with a 6.5 MW fuel-oil engine in simple cycle, with a water-tube steam generator with forced circulation, that can produce 3.2 t/h of saturated steam at 13 bar using exhaust gases from the engine. The cooling water from the HT engine’s cooling circuit is used to produce hot water (85ºC) for the production process. 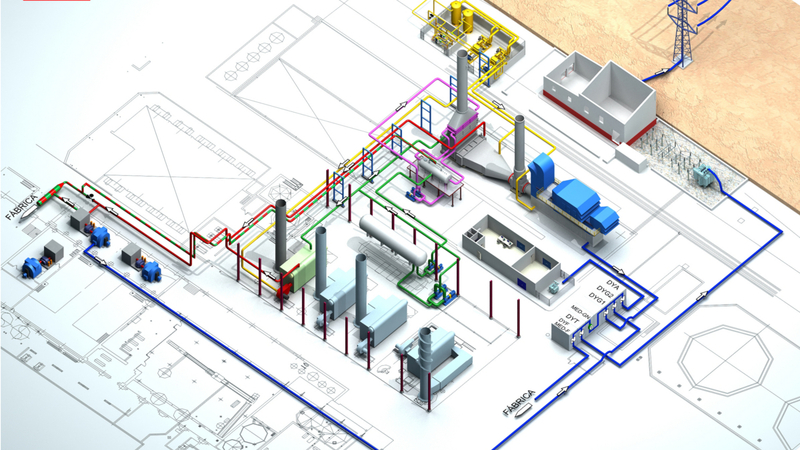 Cogeneration plant with a 6.5 MW fuel-oil engine in simple cycle with a water-tube steam generator with forced circulation that can produce 3.2 t/h of saturated steam at 13 bar using exhaust gases from the engine. 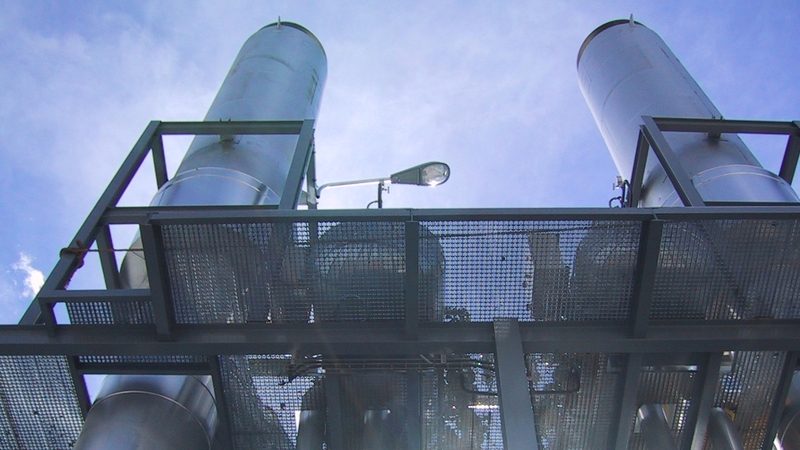 The cooling water from the HT engine’s cooling circuit is used to produce hot water (85ºC) for the production process. Client: COMPAÑÍA TÉRMICA PONTE DA PEDRA A.C.E.